Corey Maggette, Lester Conner, Mo Peterson interviewed for Lakers director of player development/special assistant to Magic/Pelinka, source. Lakers will continue to interview for the positions that reports to president Magic Johnson/GM Rob Pelinka, per sources. Should've included the initial tweet with it homie lol. However, Corey Maggette has withdrawn his name for consideration, per source. Isn't that Ryan West's position? What's his official Lakers title? I thought he was director of player development? He's a different director lol. Director of player personnel. 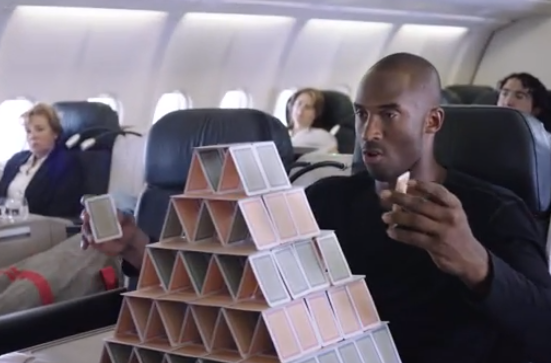 I know it's a different sport and Magic is basically just the face, but ever since he took over the Dodgers, they have been building really good. He isn't part of Dodger management, this just shows that BS rules over substance. Believe the hype! In less than on year under Magic we have a summer league banner in the rafters to humiliate Clippers fans. There is an official P&M thread where you can direct your negativity towards the legendary Magic Johnson. There are also truths and there is hype, you can choose. And if you think I said anything negative about Magic you need to read it again. 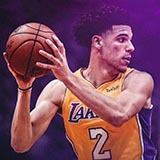 The Los Angeles Lakers new front office, led by president of basketball operations Magic Johnson and Rob Pelinka did a solid job of acquiring late first round picks before the deep 2017 NBA draft, and they ultimately used those picks to select two guys who went to college for four years, Kyle Kuzma out of Utah and Josh Hart from Villanova. Because of their age and maturity the Lakers are hopeful that both players can come in and make an impact right away, as opposed to some of the one-and-done guys in the draft who may need some more development before contributing at the NBA level. Careful. The Dodgers may be looking for some payback this year on your Cards. What the Dodgers are doing this season is historic, hopefully they close it out with a World Series win but even if not this season is going to be remembered for a while. Summer Dreaming: Who will win Executive of the Year in 2017-18? Magic Johnson among the possible candidates! Days after the Los Angeles Lakers were issued a $500,000 fine by the NBA for violating the league's anti-tampering rules, Magic Johnson says he wants the six-figure sum to come out of his pocket. Somehow I missed this one. I am not worried, my Cards are going nowhere. Magic says he turned down jobs with the Dubs, Pistons and Knicks before taking the Lakers job. Said Knicks' President Steve Mills called. Magic on ESPN First Take. - Mentioned he's looking for Randle and Clarkson to take it to another level. Maybe safe for now? Really great, measured comments from Magic here. At least for the first few minutes in that I've heard so far. Glad to hear that he's not judging this team based on whether or not they make the playoffs. Who would have thought then, we'd be where the Dodgers are now? Crazy. You know he was going there to see Carrie.